What is the best shampoo for flaking? Can a shampoo help with hair loss? There is a special group of shampoos that contain an anti-fungal known as ketoconazole. As an antifungal agent, ketoconazole is effective for the treatment of seborrheic dermatitis and general "dandruff". There is now strong research showing this topical likely helps with genetic (androgenic) hair loss as well in both men and women. 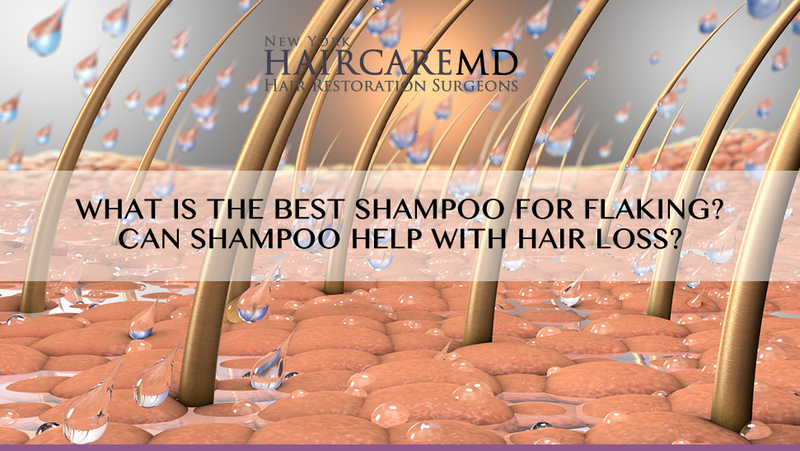 The shampoo may help to thicken the follicle as well as improve the overall density of the hair. Ketaconazole is an anti-fungal and will reduce the amount of fungus on the scalp. The most common fungus is a yeast known as Malassezia. Ketaconazole acts locally to inhibit steroidogenesis; It lowers DHT (dihydrotestosterone). Ketaconazole has an anti-inflammatory effect reducing the amount of T-cells. Inflammation likely contributes to hair loss. If you are interested in discussing if shampoo may help your hair, the next step is a consultation with one of the knowledgable physicians at HairCareMD.